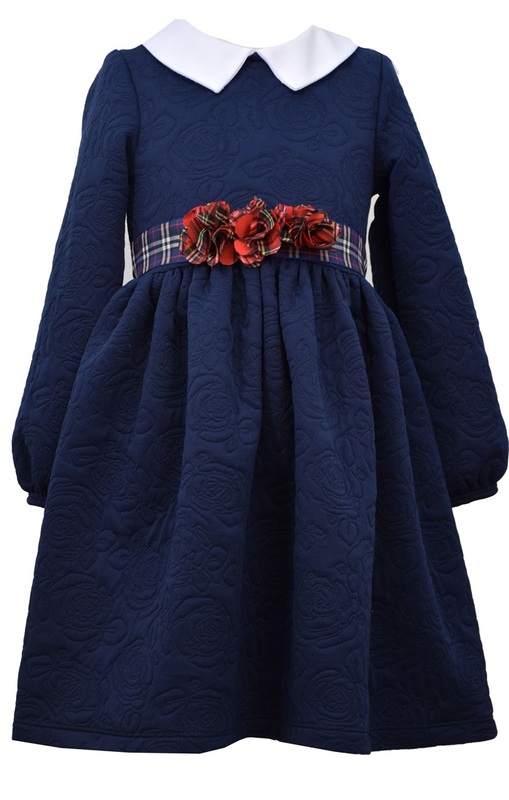 Precious girls navy quilt dress set in a textured knit comes features elegant collar and tartan rosettes at waist. Polyester knit and spandex blend. Machine wash.